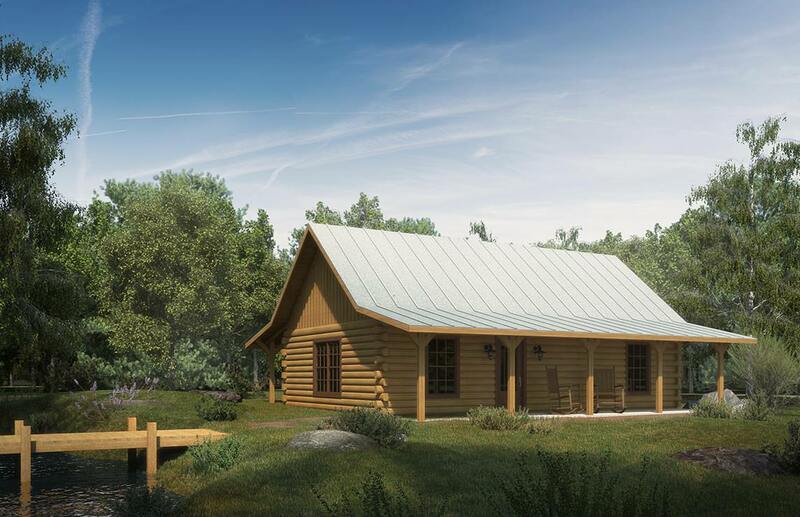 Porter's Landing, named for one of the Satterwhite grandchildren, is an appealing compact log home cabin with 792 sq ft of living space on the main level, first among our compact cabin series with a finished loft space (194 sq ft) accessible by stairs. This combination makes this small home ideal for many. The main level of Porter's Landing contains all the essentials: bedroom, bath, kitchen, dining, and family room. Closet, storage, and pantry add livability to this floor plan, and the loft space is a real bonus. At 986 sq ft of living area, this plan delivers the log home lifestyle in an inviting, open design that connects the kitchen with a dining area and living room enhanced with a vaulted ceiling.